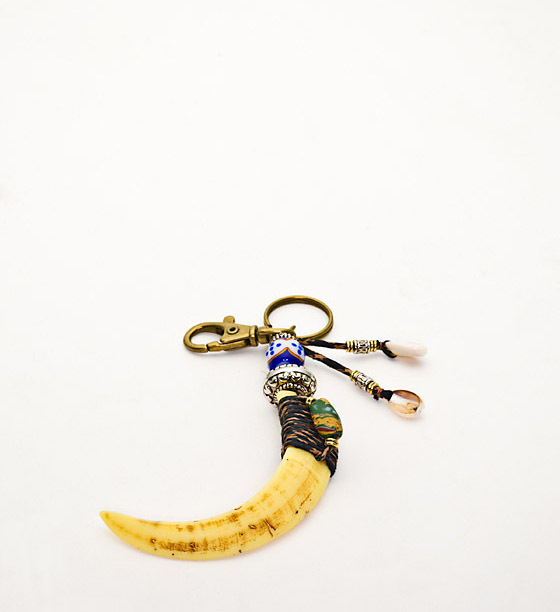 This keychain features an imitation wild boar tusk and traditional style beads of the Rukai tribe. 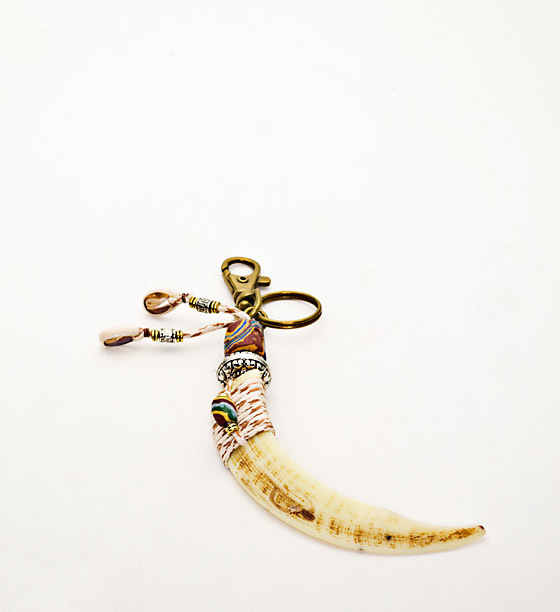 As each keychain is handmade, allow for some variation in the length of the tusk and the size and pattern of the beads. 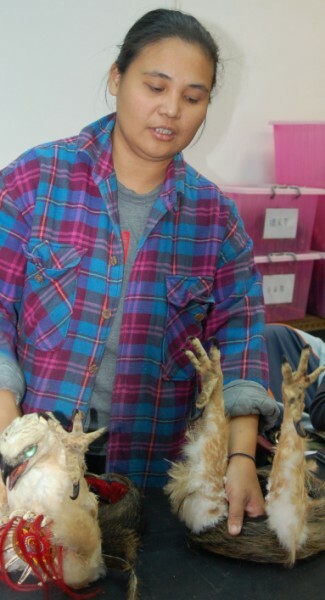 Successfully hunting a wild boar was considered a great honor for a Rukai hunter as the wild boar is both elusive when chased and aggressive when confronted.